While Duchess Meghan was “slated” to give birth at the same Lindo Wing suite at Paddington St. Mary’s hospital as her sister-in-law Duchess Kate, a source tell Us Weekly that might not be the case. The source adds that Meghan, 37, is “likely” to welcome her first child with Prince Harry at a London wellness center. Kate, meanwhile, has delivered all three of her babies — Prince George, 5, Princess Charlotte, 3, and Prince Louis, 11 months — in the private suite. Parking restrictions were put into place with railings and barriers weeks before she went into labor. The late Queen Elizabeth opened the private hospital wing in 1937. Kate and her husband, Prince William, have also debuted every mini member of their brood on the steps. The insider tells Us that the Duchess of Sussex, also 37, will do the same when she welcomes her first child with Harry, 34, in the spring. 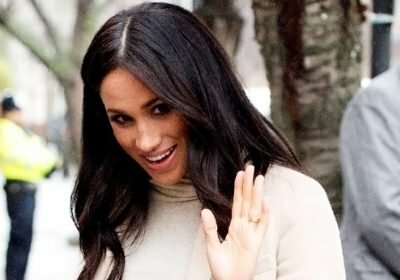 Another source told Us exclusively in February that the mom-to-be has been gearing up for labor with the help of a doula, who has regularly visited her and her husband’s homes in Oxfordshire and Kensington Palace. The palace announced in October 2018 that Harry and the Suits alum, who tied the knot in May 2018, are expecting their first child together. During a visit to Birkenhead in January, the former actress revealed that she is due in late April or early May.